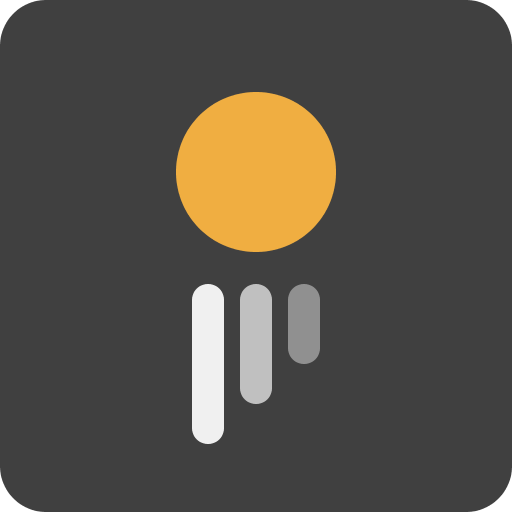 A small, but fun game about guiding a little yellow ball to avoid the red blocks and collect the yellow ones, in keeping with my goal of just making and releasing something. 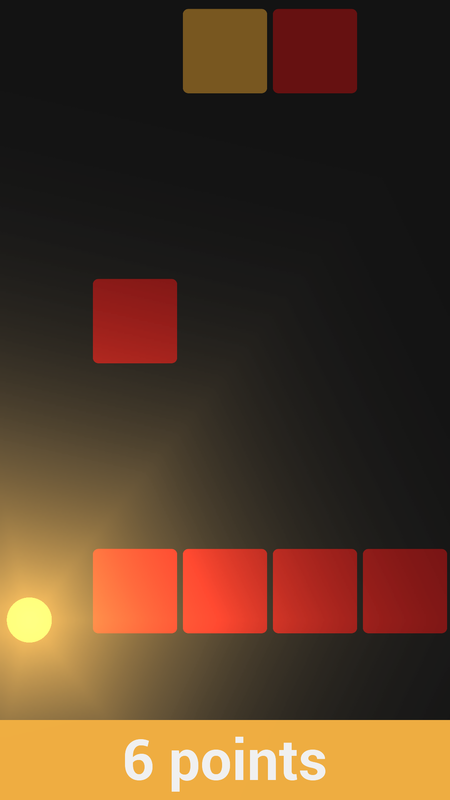 When you hit the red blocks, you lose energy, causing you to go slower, lose too much and you die. When you hit the yellow blocks, you gain energy (and live longer), but the game goes faster, which makes it harder to avoid the red blocks. The game also goes faster the further you get. 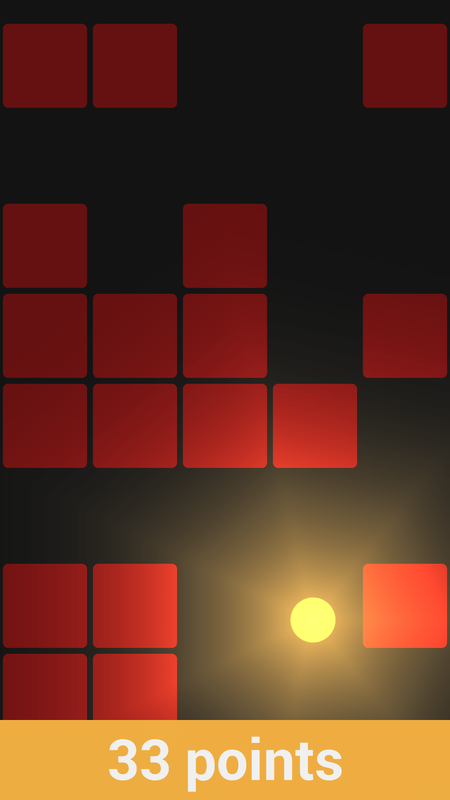 Your score is based off how far you get and how many yellow blocks you collect. Press where you want to go on Android and use A and D to control the spark on desktop. 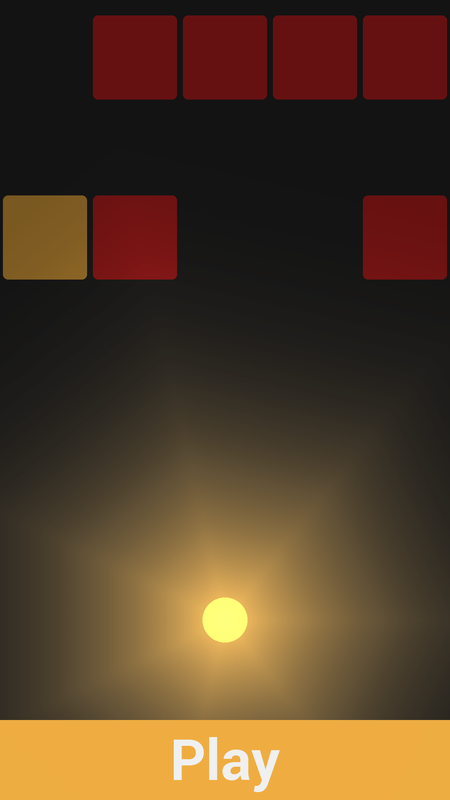 The game was made using LibGDX and Box2DLights, with the code written in Kotlin. The game is available on desktop and on Android, both for free. I tried out the desktop version. Auto adjusting difficulty. I like that things slow down when I hit a bunch of red bricks and speed up when I hit yellows. It took me a while to notice it but player health being indicated by spark brightness. Not knowing what the controls were when I started. (I realized later this was in your post, but what can I say I'm bad at reading) also consider telling the player what the objective is in the game. The degree of control provided by the 'a' and 'd'. tapping the key frequently causes me to straddle 2 rows of tiles. Maybe having the spark accelerate instead of instantly jump to speed would help this. A local high scores list would have kept me playing a bit longer. Every so often I get a wall of red tiles. Basically I'll hit 3-4 red tiles no matter what I do. It's not a show stopper, but if it happens early after getting the game it could be a turn off. As I understand, red and yellow blocks are generated randomly? Maybe next version should eliminate such block configurations? @sarcastibots Those are some great suggestions, I'll add them to my to-do list. Those 3-4 unavoidable hits doesn't sound very fun, I'll figure out a way to prevent it, at least in the early game anyway. @herhor 283 points for your first time is a great score. I generally get around 300-350 when I play it, despite playing it a lot to test it. I guess I just have bad reflexes. The blocks are randomly generated, and there's no checking to ensure that there is a way to get through without taking damage. Which in my opinion isn't necessary since the game allows you to take multiple hits without dying, as well as gaining more life. But if unavoidable hits aren't a fun gameplay feature I can always change it. I tried your game and I found it very nice. Simple idea and very intuitive. However, I also think that you should check red blocks and leave some free way to pass. If someone is good enough in your game and can avoid all red blocks, why punish him by not giving a choice to go? You can add some more blocks with different colors, e.g. blue gives you protection shield, green destroys two red blocks ahead, etc.